Lovely quiet apartment with a balcony situated on I floor in redecorated building. 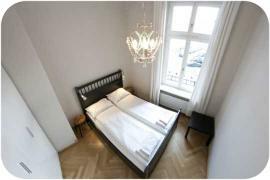 Although located in Krakow’s City Centre, the apartment offers you a break from the big city noise. The apartment consists of 2 rooms. One room is used as a living area, and sleeping area The second room is a bedroom with double bed.